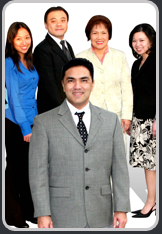 About EBMCPA | Earl Benedict Macasaet, CPA Inc.
Earl Benedict Macasaet CPA, Inc. was founded in 1994 with an office located in San Dimas, California. It now services clients in various counties and states and includes individuals as well as businesses of all sizes and structures. Along with traditional accounting and tax services, EBMCPA,INC. takes pride in providing services specially tailored to each client’s needs. 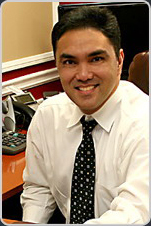 Earl founded his CPA practice, Earl Benedict Macasaet CPA, INc. in 1994 with the vision of creating a firm that provides high quality accounting services and solutions for individuals, families and business clients. He operates with a strong focus on building long term and successful business client relationships. With prior accounting and leadership experience in a variety of client and business industries, Earl is focused and passionate about making the firm a great place to work for and an even better company to do business with. Joe received his Bachelor’s Degree in Accounting and Finance from University of Wisconsin – Madison and is a Certified Public Accountant licensed by the Board of Accountancy in the State of California. His experience in audit and accounting goes back to 1999. As an experienced professional in public accounting, Joe has developed valuable skills in independent audit engagement. Kathy attended Loyola Marymount University in Los Angeles, California where she graduated with a Bachelor of Science in Accounting in 2003. She passed the Uniform Certified Public Accountant Examination in 2004, becoming a Certified Public Accountant licensed in the State of California the following year. 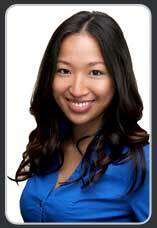 She has been with the firm since 2001 when she started as an intern and is currently one of the firm’s supervisors. Chrissie attended Manila’s De La Salle University and graduated with a Bachelor’s Degree in Accounting in 2003, successfully passing the Certified Public Accountant Board Exams for the Philippines in the same year. Chrissie joined the firm in January 2004 and attained her license as a Certified Public Accountant in the State of California in 2009.